Queens faced the daunting task of facing Scotland?s 2nd best team of the past four seasons, taking on Aberdeen at Pittodrie. 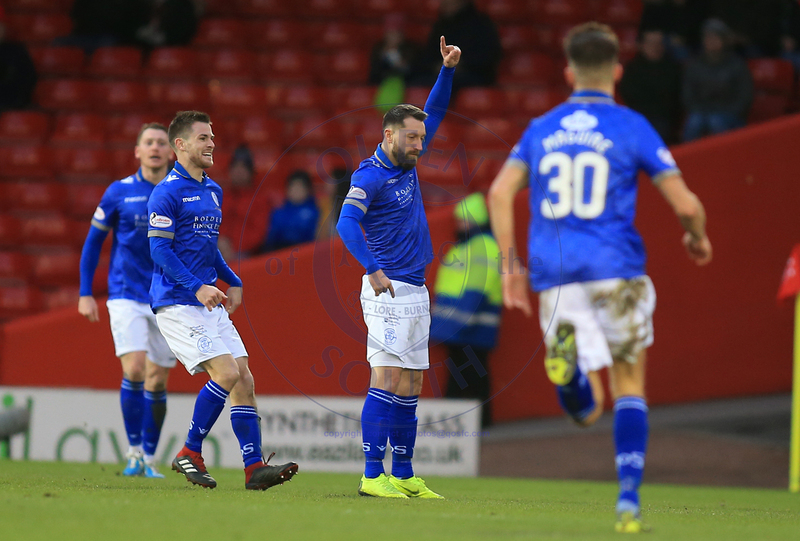 And while the players gave absolutely everything, and Stephen Dobbie scored the goal of the season, the Dons were just too strong for Queens. There were returns to the starting XI for Nicky Low and Michael Doyle, as Fraser Aird dropped to the bench and Iain Wilson was cup-tied. While Aberdeen?s starting XI included international players like Graeme Shinnie and Gary Mackay-Steven, with Niall McGinn and Manchester United loaner James Wilson having to settle on a place on the bench, such is the strength of their squad. 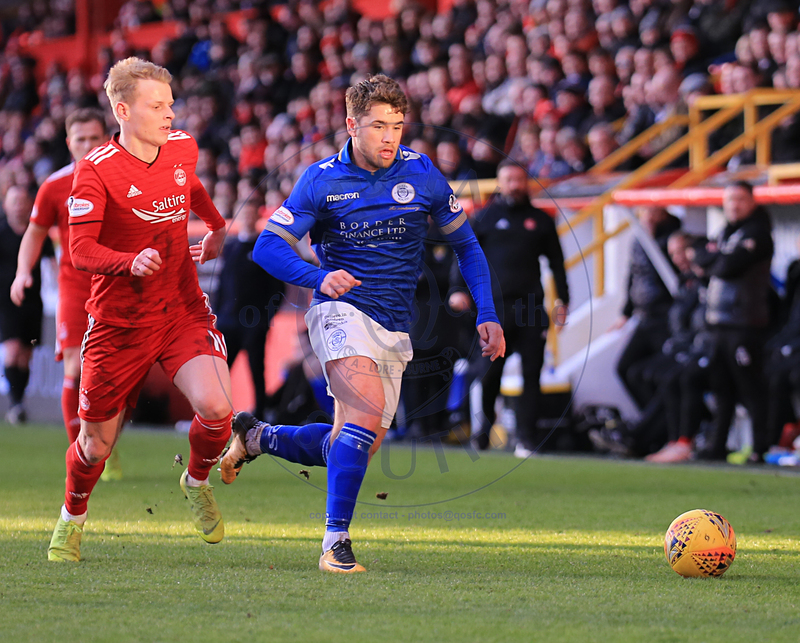 The opening period was very much Aberdeen?s, however they were afforded no space in the final third as Queens defended sturdily. Aberdeen?s only real chance of the first half fell early on to full-back Shay Logan. Good work down the left hand side allowed Max Lowe to put a dangerous cross into the area, but Logan?s header was off target. The next 20 minutes lacked any goalmouth action. A Mackay-Steven volley was about all that there was in the period. After 35 minutes, the ever dangerous Greg Stewart mounted a counter-attack, joined by Sam Cosgrove and Mackay-Steven. Thankfully for Queens, Scott Mercer done exceptionally well to jockey Stewart, before putting in a challenge and stopping the Dons attack. It took 37 minutes for Queens to register their first shot, and boy, was it a good one!Jordan Marshall picked the ball up 35-yards from goal, before powerfully striking an effort into Joe Lewis? near post. The towering goalkeeper was still required to jump and tip it over the bar. With such a huge keeper, it would really take something special to beat Lewis from distance. More on that later. 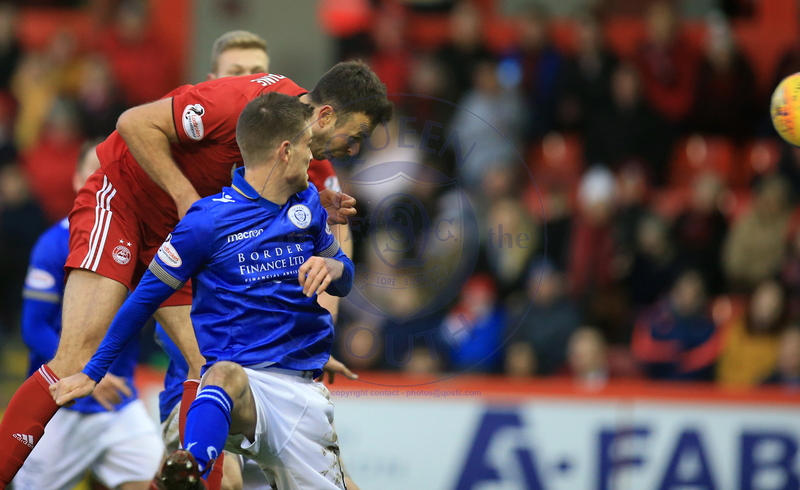 Former Aberdeen player Nicky Low was the first man in the book for his challenge on Mackay-Steven, as the tricky winner attacked down the wing. Max Lowe had the first periods last chance, cutting inside on his weaker right-foot and hitting a tame effort at Martin. Thankfully for the near 8?000 in attendance, the second half was a better match. Five goals were shared between the teams, unfortunately however, the home side scored four of them. Derek McInnes? half-time substitute proved the difference, with Niall McGinn replacing Stevie May on the wing. This allowed Aberdeen to stretch the game more, with May tending to be an inverted winger, while McGinn tends to stay wide. It took just two minutes for the Northern Ireland international to make his mark on the game. 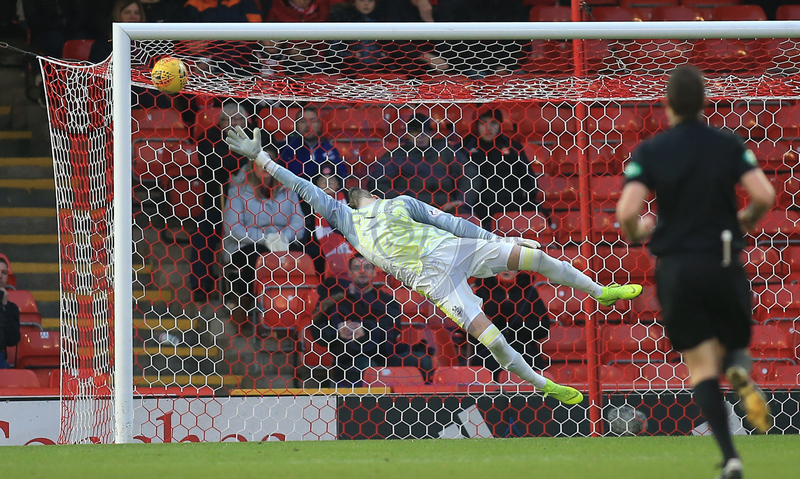 As Sam Cosgrove was played in, Kyle Jacobs made an exceptional challenge to prevent the inform striker from adding more goals to his already impressive run of form. Unfortunately for Jacobs, his interception fell straight into the path of McGinn who?s effort was too high for the retreating Alan Martin. Aberdeen?s lead didn?t last long though, as that man Stephen Dobbie equalised with what is without a doubt the goal of the season. After receiving the ball near 50-yards out, the Queens man dribbled 15 or so yards, before striking sumptuously into the top corner. Probably the best goal of the 38 he?s scored this season and one that, despite the result, will live long in the memory of the 351 Queens faithful who travelled up north. Queens were pushing for a second straight away. 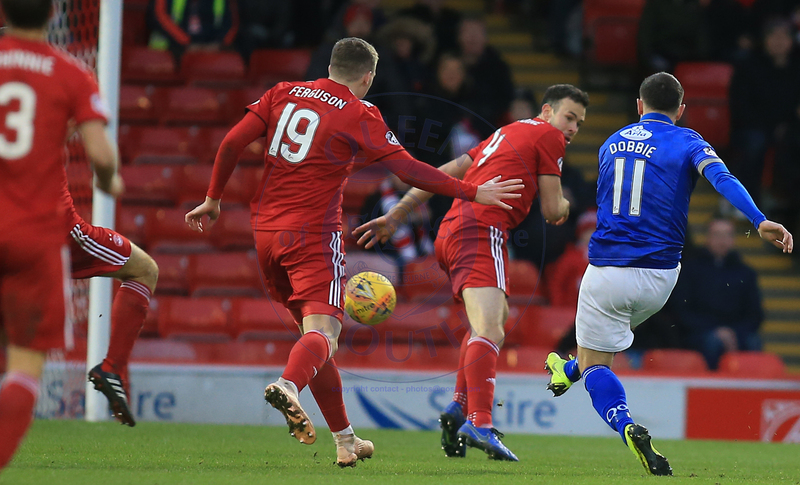 Andy Stirling and Stephen Dobbie linked up well, before Dobs had an effort from 10-yards blocked by the Aberdeen defence. Not long after the chance, came a 10 minute spell where Aberdeen really showed their class. In the 63rd minute, Queens? 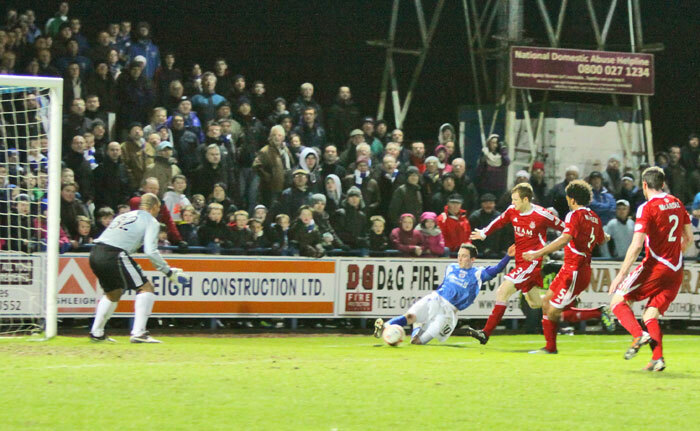 old nemesis from 2008 and 2012, Andrew Considine, put the reds back in front with a header from point blank range. The defender scored a brace against Queens in 2008, and the winner in a cup replay in 2012, taking his tally to four goals from four games against the Doonhamers. It was a well worked routine, in which Aberdeen players blocked off Considine?s marker, allowing a free header. Just four minutes later, Aberdeen doubled their lead. A ball in from the left hand side by McGinn was met by Sam Cosgrove, who headed off the ground and into the roof of the net. 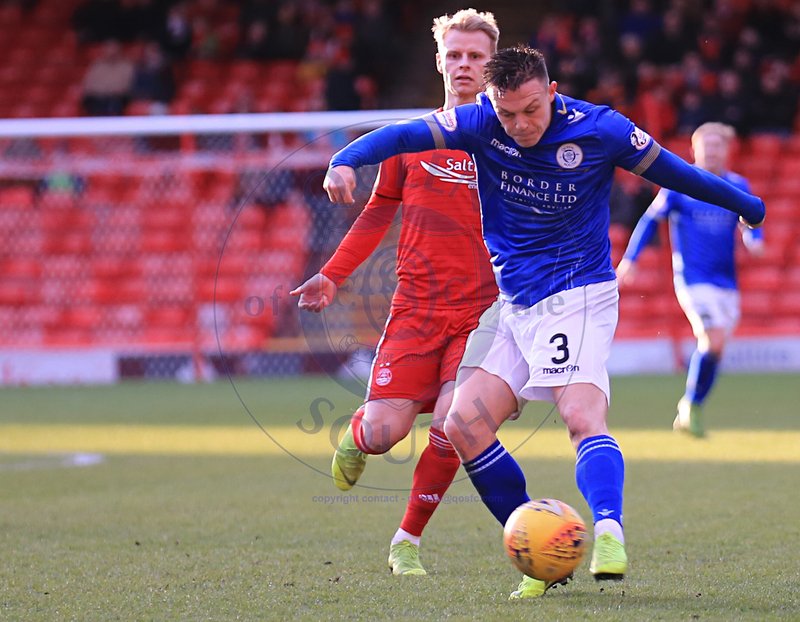 While two goals down, a comeback wasn?t insurmountable for Queens, especially with the likes of Stirling, Dobbie, Dykes and Aird on the pitch. Unfortunately though, Aberdeen all but ended the tie courtesy of a penalty which, in truth, was blatantly not a penalty. A cross from Max Lowe down the right was blocked by Andy Stirling?s ribs. And with just a few yards between the players, there was nothing Stirling could?ve dons do move. Nonetheless, despite it not touching Stirling?s arm or hand, referee Euan Anderson pointed to the spot. Sam Cosgrove took his tally to 14 goals in 13 games by dispatching the penalty kick well. Martin did guess the right way, but the shot was just too far in the corner. The last 20 minutes were all but a formality. Nonetheless, Queens we?re still required to defend well and prevent Aberdeen from scoring five, six or seven goals. Cosgrove had one chance to complete his hat-trick, a counter attack resulting in him receiving the ball inches out, but the big Englishman skewed his effort wide of the goal. There was to be one final chance for Queens to salvage a second, as Dobbie twisted and turned in the box, before setting up Dykes. Unfortunately, the Livingston-bound man seen his effort comfortably saved by Lewis. The result was probably harsh on Queens, with the penalty decision taking the game away from the visitors. To a man, each player gave everything today, and were simply beaten by the better team. Niall McGinn was awarded man of the match despite only having played 45 minutes, such was his impact. It doesn?t get much easier next week, as Queens take on another side, like Partick and Falkirk, who have signed a new team in January. 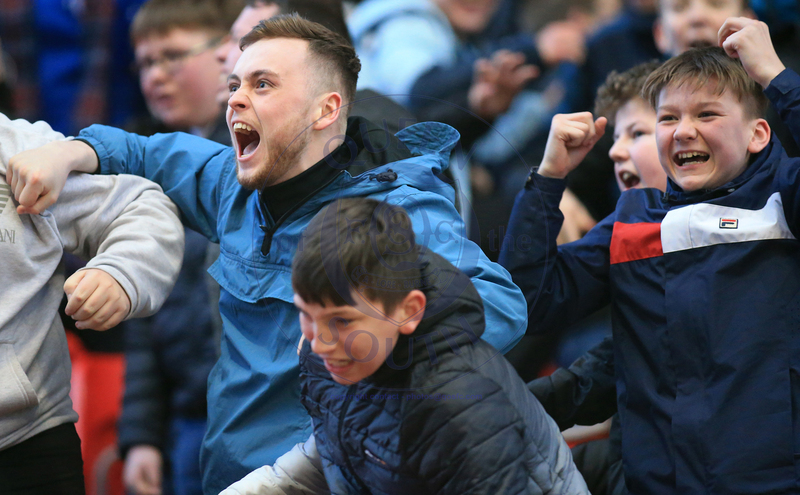 With the likes of Peter Pawlett and Osman Sow coming in the door at Tannadice, the boys in blue are going to need all the support they can get to push into the play-offs. 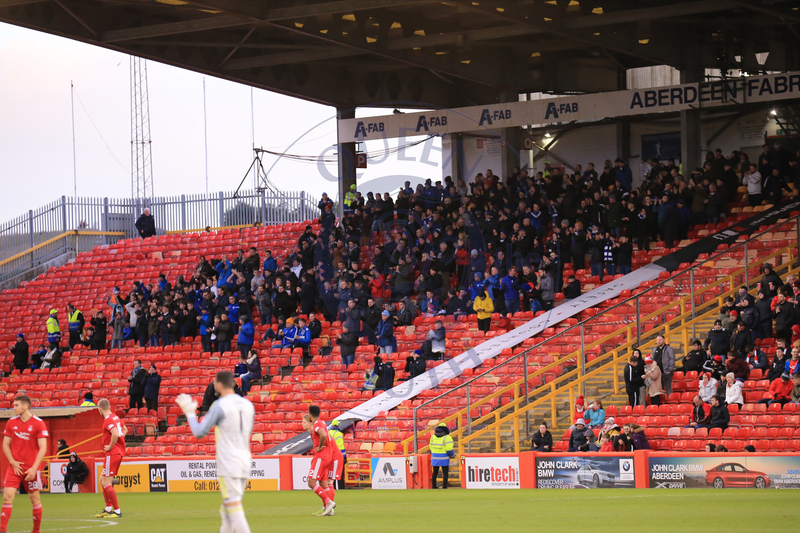 A final mention for the 351 Queens fans that travelled north for the game; they were genuinely unbelievable. 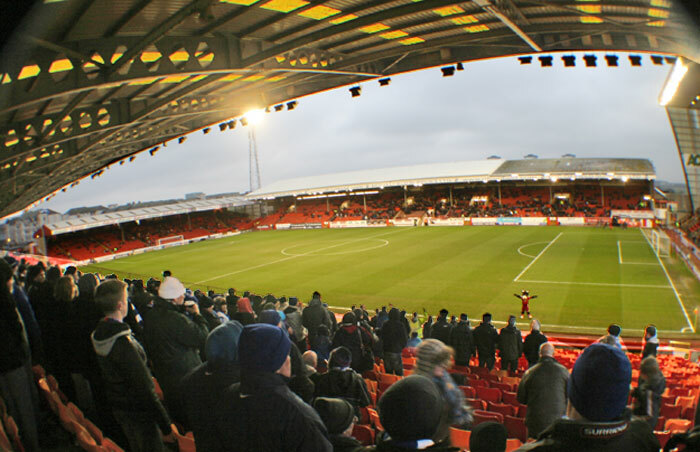 The only noise in Pittodrie all game came from the away end. Despite it being on TV, the fact that 351 fans made the effort to trek up the road shows the commitment and love that so many people have for this club.